The River Derwent runs down from the high peaks above Rosthwaite, meanders peacefully through Borrowdale, and empties into Derwentwater. Its a gorgeous river valley, surrounded by some of the best scenery in the Lake District. I was following a footpath along the bank of the Derwent towards Castle Crag, when I saw this peaceful scene. 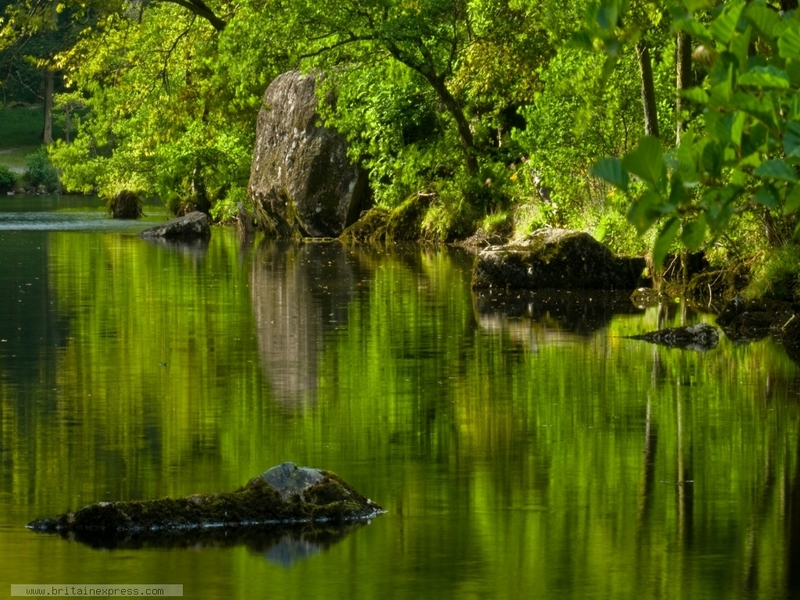 I love the deep green and golden reflections in the water.